By close of business in Melbourne on Saturday it’s likely that Ross Byrne will be the only member of the 32-man Ireland touring party not to have got a run. Given that Byrne made this trip knowing he might well be coming home with his Ireland shirt still in the wrapper, this is how tours should be. When Ireland were coming to these parts with Eddie O’Sullivan driving the bus there were a gaggle of lads down the back who knew they were along primarily for the ride. The only way they were going to get a game was if the bus ended up in the ditch and there were casualties up the aisle. O’Sullivan was chasing a win hard, and reckoned that sticking to the same personnel time and again was the way to do it. Basically he didn’t trust most of those numbered higher than 18. With some of them you could see why. And of course with no game time they had no chance of ever changing that picture. Joe Schmidt is equally focused on the prize. Two summers ago he had the chance of adding to his already stellar record with a series win in South Africa, and lost out. Now that he is backed into a corner in Australia there is no room for error. But despite his conservative nature he has spread the load for this second Test. So Andrew Conway gets a start when most would have expected him to be on the bench, and Niall Scannell gets in ahead of Sean Cronin. Mixing things up for the first Test got a lot of airplay but the biggest call of the tour so far is leaving Sean Cronin out of the 23 for Melbourne. A 20 minute run off the bench against Leinster in the Guinness Pro 14 semifinal was the last action for Scannell. 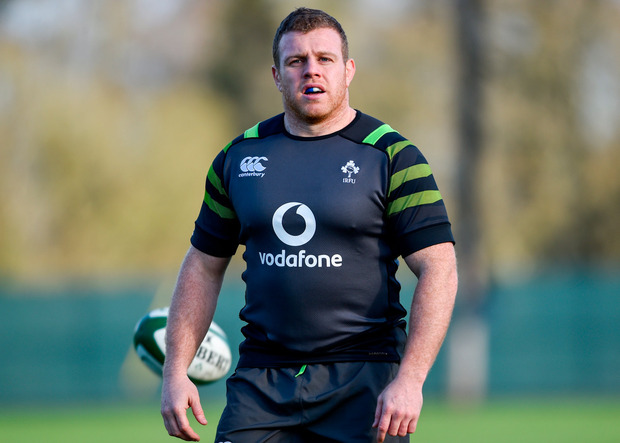 So he won’t be going close to the distance on Saturday, but at roughly 10kgs heavier than Cronin you’d imagine he’ll be told to throw that weight around as much as he can before running out of gas. At which point it will be Rob Herring coming on to replace him. So Ireland will be going after the Wallaby scrum from the start. It will be interesting to see how that battle is shaping up by the time Herring comes on. He was very good in Brisbane and would have got his name on the try-scoring list had CJ Stander looked over this shoulder on what was Ireland’s cleanest break of the game. Herring has been the biggest beneficiary of the trip so far. Given how, for Ireland, this series has clear implications for the make-up of the World Cup squad in Japan his timing is good. And so is John Cooney’s. The scrum-half has taken the circuitous route to this point but is now in a good position. When you’re backing up Conor Murray, there isn’t much debate about your chances of a start. But the bottom line is that you don’t oversee a dramatic fall-off in standard. If Schmidt felt that Cronin wasn’t bringing enough firepower to the battle in Brisbane then he can’t have been too happy with the quality of Kieran Marmion’s passing when he replaced Murray. With literally only a few minutes to play with Marmion didn’t have a lot of room to change a game that already was gone, but instead of speeding things up he managed the opposite. So Cooney will understand about the need to be fast and accurate if his chance comes. If he’s arriving into a repeat of what happened last weekend – when Ireland didn’t ask the Wallabies many questions they couldn’t figure out – then Sydney will be a long week in which the coach has to reassess more than his starting XV.